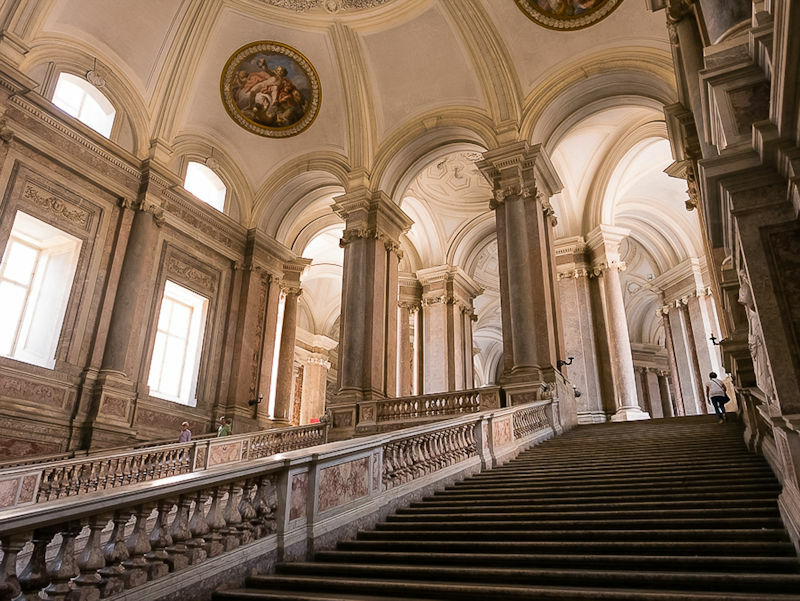 Near the Royal Palace of Caserta, there is a small village with an ancient historical center of the second century BC, many Roman churches in Baroque style, the castle and the city walls, a perfect place to celebrate your wedding immersed into the story. This village has had the influence of several peoples including Barbarians, Etruscans and Romans, each of which has made its architectural styles and legends. It is located on the hills that dominate the Volturno river, a territory rich in olive groves and vineyards that every year produce a very good olive oil and wine, products that will be proposed and enhanced in our services. 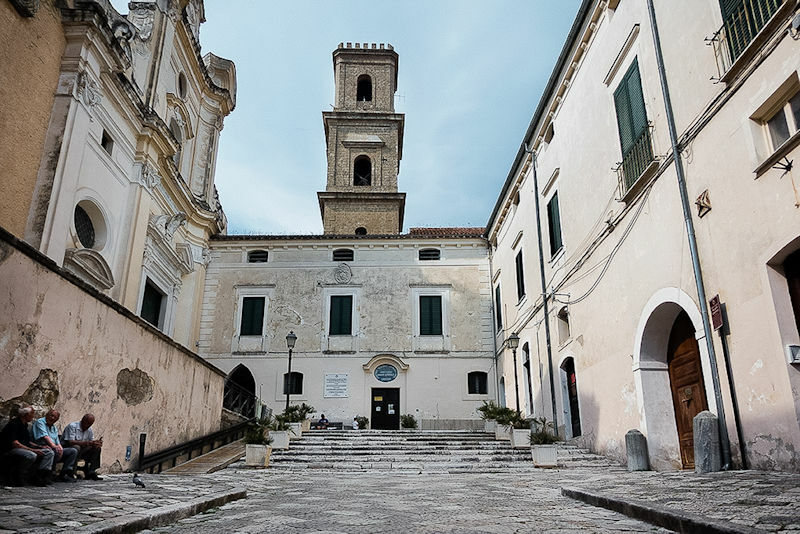 The civil ceremony will be held in the cloister of the ancient convent of St. Francesco dating back to 1200 AD with a beautiful garden attached, currently the City Hall palace. Our agency My Wedding in Rome will take care of organizing the entire ceremony, helping the couples also in dealing with the bureaucratic part, very important because the documents must be in compliance with Italian rules. The civil wedding will be celebrated by the mayor or his delegate with an interpreter in your language, always with the assistance of our wedding planner. In this exclusive package we have proposed the civil marriage, but you can also request the religious celebration, choosing the best solution you want. After the ceremony, the couple will be able to celebrate their special day with friends and relatives in an ancient restaurant of 1870, reachable in a few minutes from the municipality palace. The location has two dining rooms, an ancient oil mill inside and availability to accommodate up to 50 people. In the wedding dinner menu you will find exclusive traditional dishes and high quality local products, starting from the appetizer as the hot meatball of cod on cream of Neapolitan papaccelle or stuffed cabbage, followed by the first course of home-made pasta, a second course of meat or fish, depending on the season, finally the wedding cake. A nice alternative for young spouses is the light lunch in the central square of the village, where you can taste the typical local products, cooked by the best chefs of that area with ancient and exclusive recipes using extra virgin olive oil of the local oil mill, craft beer, white and red Pallagrello wine. You can choose between lunch or dinner, in any case it will be an unforgettable gastronomic experience that you will remember with pleasure for a lifetime. 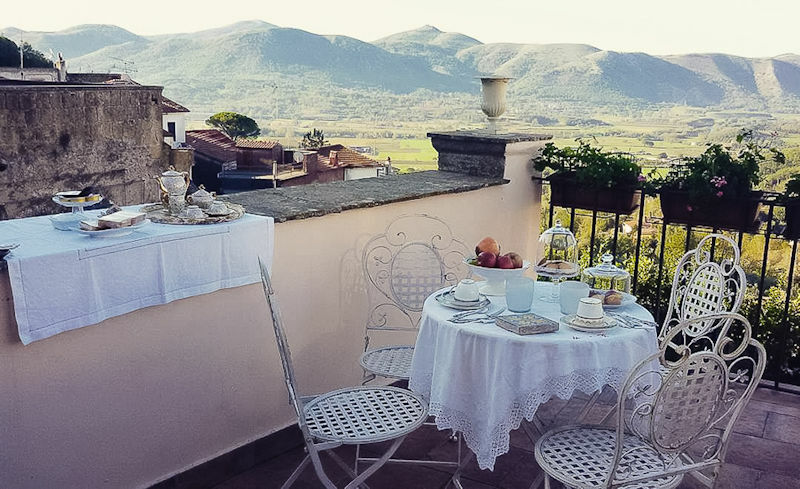 We offer to newlyweds a two-night stay in a selected bed and breakfast, located in the city center with beautiful view from the terrace where you will have breakfast. Inside the structure there is an organic vegetable garden taken care of by the property and an ancient oil mill used for oil production by the inhabitants of the village from year 1600 up to the sixties. This small location has only 3 bedrooms included the suite for the newlyweds, but we can offer accommodation to relatives and friends in the historic center area, up to a maximum of 20 people. Not far from this town, in Caserta or nearby, there are some hotels that can accommodate other guests, for larger weddings. Our wedding planner agency offers bridal make-up and hairstyle, performed by professionals in the field directly in your suite. The make-up artist and the hairdresser will arrange the bride according to her preferences and in tune with the dress. The photo shoot will stop in time the most beautiful and evocative moments of this unforgettable day since from your preparation and, as a reportage, the images will tell about the ceremony and the wedding dinner. Our photografers are specialized in weddings and love their job like a passion, for this reason your photo will be stunning and full of love. Your photos will be available online on schedule. The Borbonia package includes wedding planner service, processing of paperwork for the civil ceremony and interpreter, location for wedding dinner and 2 overnight stays as indicated above, beauty and photo shoot. 2 nights package for 4 people starting from euro 3.497,00. 2 nights package for 20 people starting from euro 333,00 per person. Quotation on request for groups over 20 people. If you want to customize this package with other services, please visit the extra services page. visit the ancient silk factory where you can find fine fabrics to personalize your photo album.